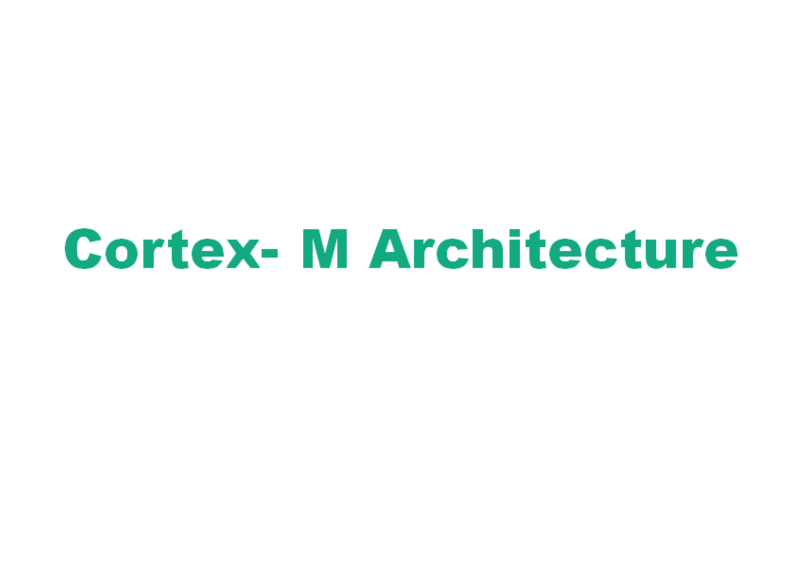 CMSIS-CORE: API for the Cortex-M processor core and peripherals. It provides at standardized interface for Cortex-M0, Cortex-M3, Cortex-M4, SC000, and SC300. Included are also SIMD intrinsic functions for Cortex-M4 SIMD instructions. 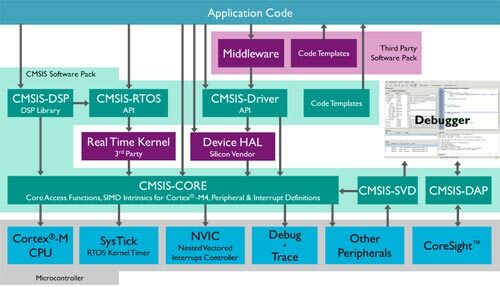 CMSIS-Driver: defines generic peripheral driver interfaces for middleware making it reusable across supported devices. The API is RTOS independent and connects microcontroller peripherals with middleware that implements for example communication stacks, file systems, or graphic user interfaces. CMSIS-RTOS API: Common API for Real-Time operating systems. It provides a standardized programming interface that is portable to many RTOS and enables therefore software templates, middleware, libraries, and other components that can work across supported the RTOS systems. CMSIS-Pack: describes with a XML based package description (PDSC) file the user and device relevant parts of a file collection (called software pack) that includes source, header, and library files, documentation, Flash programming algorithms, source code templates, and example projects. 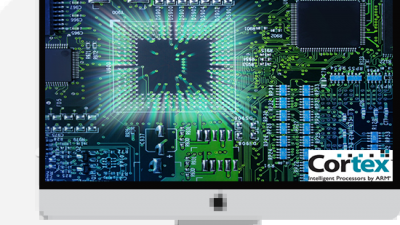 Development tools and web infrastructures use the PDSC file to extract device parameters, software components, and evaluation board configurations. CMSIS-SVD: System View Description for Peripherals. Describes the peripherals of a device in an XML file and can be used to create peripheral awareness in debuggers or header files with peripheral register and interrupt definitions.